Into The Deep: Be witnesses! 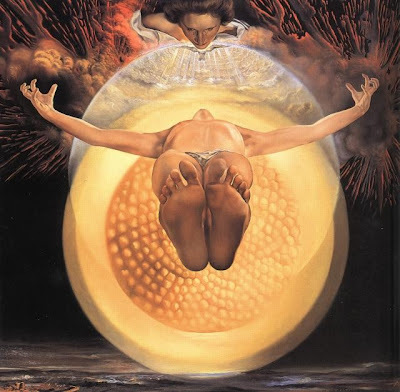 Dali said that his inspiration for The Ascension of Christ(above) came from a "cosmic dream" that he had in 1950, some eight years before the painting was completed. In the dream, which was in vivid color, he saw the nucleus of an atom, which we see in the background of the painting.